In his downtown office in Washington, D.C., Leslie Campbell is emailing staff in the Cairo office of the National Democratic Institute. They're locked out, their office stripped of computers, personal laptops, documents and even cash after an armed raid by Egyptian security forces. A fax hits his mailbox, a scan of a handwritten report by institute's country director. "It's a short summary of what happened," Campbell said. "The security forces entering, refusing to allow people to make phone calls, including to the embassy, and then taking all the computers, carrying out safes ... 10 boxes of records, personal computers of staff, and no inventory being made or provided to us." The year has been a rollercoaster ride for the CIA–incredible highs coupled with significant lows. But those dramatic ups and downs also underscored how intelligence is evolving and the agency is changing to keep pace. Keeping secrets is becoming more difficult and what the agency now does is sometimes more visible. And– the enemy is getting better. On the critical counterterrorism front, 2011 was a momentous year. 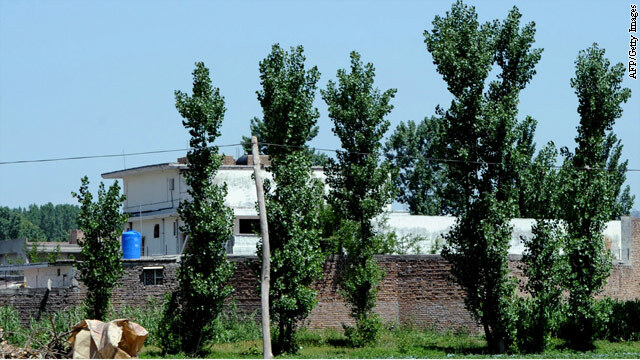 The crowning moment–maybe of even the last decade–was the CIA finally pinning down the location of enemy number one, Osama bin Laden, and then overseeing the raid by Navy special forces on a safehouse in Pakistan which led to his death, bringing an end to the nearly ten year pursuit of America's most wanted terrorist. The raid is a prime example of the new warfare the CIA is engaged in. 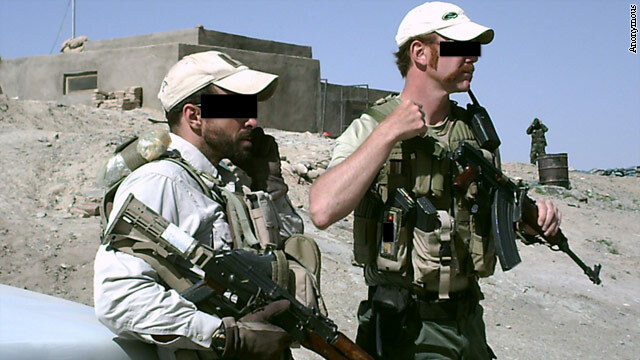 The counterterrorism battle is frequently being waged by CIA officers and Joint Special Operations Command (JSOC) forces working side by side. Former CIA Director Mike Hayden said "it's clear the Agency and JSOC are now in a privileged position in terms of how we want to fight this war." The retired Air Force general referred to the CIA today as looking more like the Office of Strategic Services (OSS), the World War two-era intelligence service that had a more operational, paramilitary role. When the highly classified RQ-170 Sentinel drone crashed in Iran recently, there were many questions about how this could happen. Then, a few days later, a Predator drone crashed on the island nation of Seychelles. Are drones falling out of the sky? These recent high-profile crashes of U.S. drones raise questions about the reliability of the crucial unmanned aircraft. 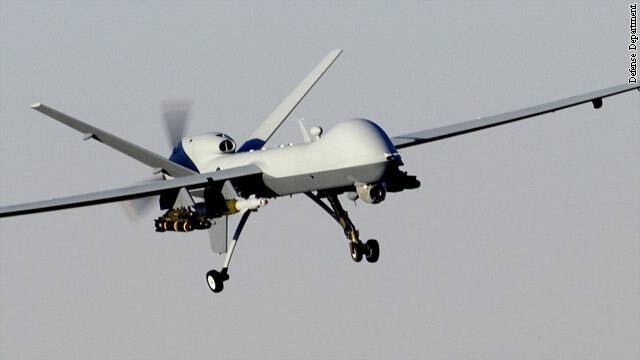 Unmanned aerial vehicles, or UAVs, have about the same mishap rate as the F-16 manned fighter jet did at a comparable stage of development, according to retired Lt. Gen David Deptula, who ran the Air Force drone program until he left the service in 2010. An Air Force chart obtained by CNN confirms Deptula's assessment, showing as flight time increases, mishap rates for drones drop, just like they do for the piloted F-16 and F-22 fighter jets. 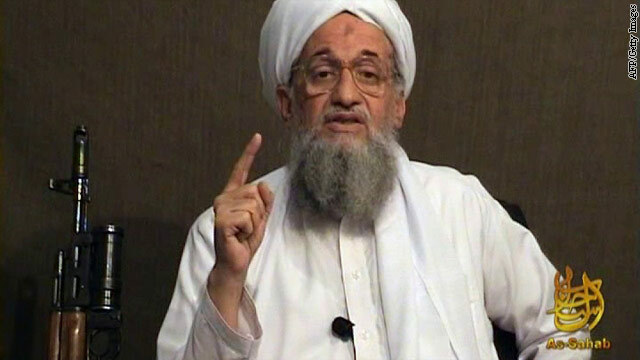 Al Qaeda leader Ayman al-Zawahiri personally dispatched a veteran Al Qaeda fighter to Libya earlier this year. Al Qaeda's leadership has sent experienced jihadists to Libya in an effort to build a fighting force there, according to a Libyan source briefed by Western counter-terrorism officials. The jihadists include one veteran fighter who had been detained in Britain on suspicion of terrorism. The source describes him as committed to al Qaeda's global cause and to attacking U.S. interests. The source told CNN that the al Qaeda leader, Ayman al-Zawahiri, personally dispatched the former British detainee to Libya earlier this year as the Gadhafi regime lost control of large swathes of the country. The man arrived in Libya in May and has since begun recruiting fighters in the eastern region of the country, near the Egyptian border. He now has some 200 fighters mobilized, the source added. Western intelligence agencies are aware of his activities, according to the source. An Iranian Army soldier stands guard on a military speed boat during navy exercises in the Strait of Hormuz this week. Can Iran close the Strait of Hormuz? While the Iranian vice president maintains it would be "very easy" for the Islamic Republic to close the Strait of Hormuz, thereby eliminating an important route for the global oil trade, such a move may be easier said than done. In an article on the Battleland blog at Time Magazine, Mark Thompson dissects the intersection of global commerce and U.S. military superiority, and the possible outcomes if Iran carried out its threat. U.S. nearing tipping point with Iran? 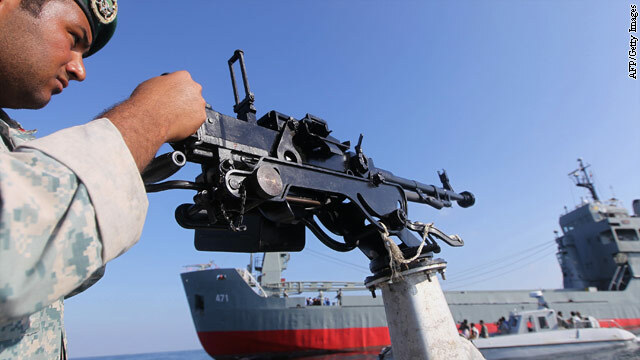 With Iran threatening to cut off access to an important artery for the global oil trade, the U.S. Navy says such a move "will not be tolerated," and experts warn military action could be inevitable if Iran carries out its threat. Foreign Affairs Correspondent Jill Dougherty takes a look at the situation. "There are a lot of assumptions about contractors, and a lot of the assumptions are wrong." Those are the words of a private security contractor who asked to be referred to only as "Lloyd" for this story, because like most of his colleagues he is not authorized to speak to the media. By Lloyd's count, he has spent some 1,000 days working in Afghanistan in the past four years. He, like many other well-trained military men, decided to leave his position as a Navy SEAL and take his chances finding employment in one of the hot spots around the world where highly skilled contractors were well-paid, and in demand. Mitchell D. Silber is the author of 'The Al Qaeda Factor: Plots Against the West'. He is also the Director of Intelligence Analysis for the NYPD. His thoughts do not necessarily represent the opinions of the New York City Police Department. Just over two years since al Qaeda Core launched the most serious plot on American soil since 9/11 (the Najibullah Zazi NYC Subway Plot of September 2009), al Qaeda’s leader and founder Usama bin Laden, al Qaeda’s most recent “Number 3” Attiyah Abd al Rahman, and the al Qaeda instigators of the Zazi Plot – Saleh al Somali and Rashid Rauf – are all dead - a result of a combination of efforts by U.S. Special Forces and drone strikes. In addition, this fall, Anwar al Awlaqi, al Qaeda in the Arabian Peninsula’s dual-hatted English language propagandist and chief of external operations, was also killed in a drone strike. The natural question to ask, as the calendar approaches 2012, is: wither the al Qaeda threat? The recent past may provide some useful insights. One of the most important findings of a forensic study of the sixteen most serious al Qaeda plots against the West since 1993 is that al Qaeda plots against the West are almost always underpinned and manned by Westerners - who travel overseas to al Qaeda or an al Qaeda ally/affiliate and then are turned around opportunistically and sent back to target the West. Whether it was the 1999 LAX Millennium Bomber (Montreal), 9/11 Pilots (Hamburg), Shoe Bombers (London), July 7 and 21 2005 London transit system bombers (Leeds and London), 2009 NYC Subway Bombers (New York) or 2009 Underwear Bomber (London), the key operatives from the plot originated in one of the great cities of the West. Embattled Yemeni President Ali Abdullah Saleh will be allowed to come to the United States for medical treatment in New York, a senior Obama administration official said Tuesday. The official, who spoke on condition of anonymity, acknowledged a debate within the administration. Officials do not want to come across as providing safe haven to a dictator responsible for a violent crackdown on an uprising that killed many protesters, the source said. The decision was made in hopes that Saleh's departure from Yemen could ease tensions in the country and help pave the way toward elections next year, the official said. 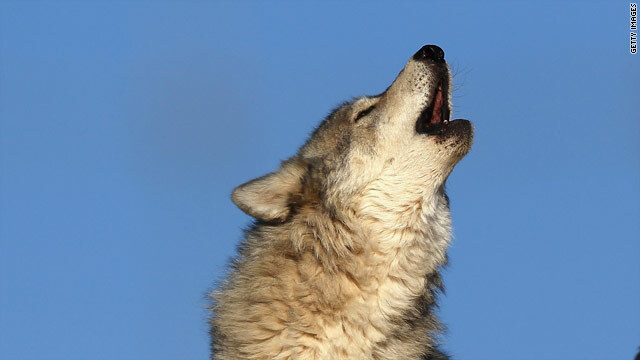 EDITOR'S NOTE: Raffaello Pantucci is an Associate Fellow at the International Center for the Study of Radicalisation (ICSR), and the author of a recent report "A Typology of Lone Wolves: Preliminary Analysis of Lone Islamist Terrorists".